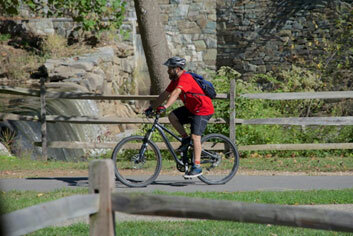 With its 32 miles of paved and unpaved trails and more than 2,000 acres of open space Rock Creek Park offers many free or low cost recreational activities enjoyed by residents and visitors alike. 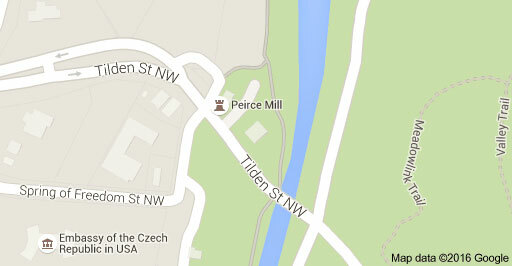 Peirce Mill is conveniently located mid-way between the National Zoo and Nature Center. Many running, hiking and biking groups use Peirce Mill as a starting point. Directions, maps, and water are available when the mill is open (Wednesday – Sunday 10:00-4:00). Restroom facilities, bike racks and parking are nearby. There are over 32 miles of trails in Rock Creek Park. The two primary trails include the green-blazed Western Ridge Trail, which parallels the western side of the park, and the blue-blazed Valley Trail, which parallels Rock Creek and Beach Drive. Stop by the Nature Center or Peirce Mill to obtain free trail maps and get more information. On weekends and holidays, much of Beach Drive between Broad Branch Road and the Maryland boundary is closed to vehicular traffic. 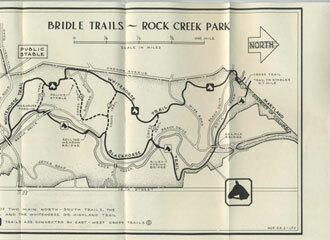 Rock Creek Runners provides maps including trail descriptions, distances and best times to run. Eight group picnic areas in Rock Creek Park are available for advance reservation from May through October–first-come, first-served basis from November through April. Reservations must be made online at www.recreation.gov. For more information call the Rock Creek Park Permits Office at (202) 895-6013. Rock Creek Park Horse Center offers trail rides as well as individual and group lessons. Check out http://www.rockcreekhorsecenter.com for hours and directions. Many running, walking, hiking and biking groups use Peirce Mill as a starting point. Why not book a tour of the mill for your group? Contact volunteer@friendsofpeircemill.org for more information.